Could London be the greatest hotel city in the world? No disrespect to New York or Paris, but the British metropolis is just more, shall we say, ambitious when it comes to consistent luxury hotel openings year after year. Somehow, the scene never seems to go stale, whether it’s the reopening of a long-beloved grand dame (as was the case with the Lanesborough in 2015) or the arrival of a game-changing newcomer that almost singlehandedly revived a neighborhood (we’re looking at you, The Ned). Though we’re only two months into the year, things are already proving plenty interesting for 2019, thanks to a slew of highly anticipated openings and reopenings popping up all over the city, from Knightsbridge to Stratford. Here are the addresses you need to know to stay up-to-date on the ever-evolving London hotel scene. 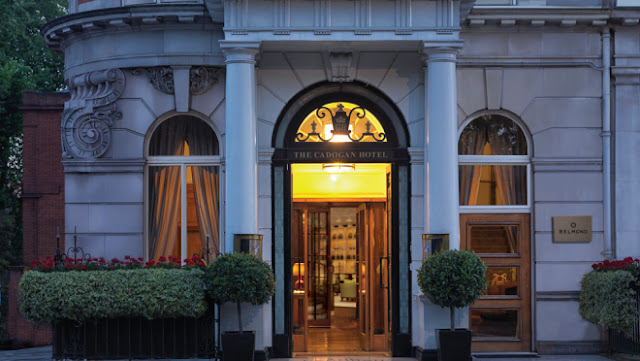 A devastating blaze tore through the Mandarin Oriental HydePark, London last June, just weeks before the Knightsbridge landmark was set to unveil a multi-million-dollar revamp. Alas, all of London was forced to wait even longer for the grand reveal of the hotel’s new look. The first glimpse finally came in December, when the public spaces debuted, including a majestic entrance and lounge, both graced by striking glass chandeliers depicting flowers. Beloved restaurants Dinner by Heston Blumenthal and Bar Boulud re-opened, and patrons started making their way to the expansive new spa, where massage therapies with Chinese medicine consultations and guest taken in the new Oriental Suite. But the Mandarin still has more on the way: This spring, guests can once again check into its 181 rooms and suites, all of which will be ride with new art deco touches. The wait will almost certainly have been worth it. 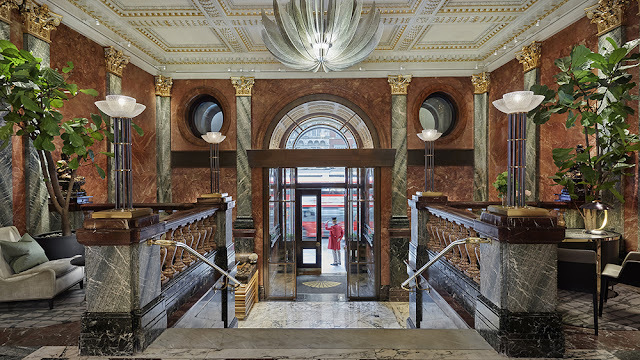 One Aldwych is another oldie turned newbie that’s about to reopen its doors with a slew of renovations to its 1907 structure (the former headquarters of London’s The Morning Post). When the Covent Garden landmark re-opens this spring, we’ll be most excited for a highly coveted amenity that rarely finds its way into London hotels: a swimming pool. 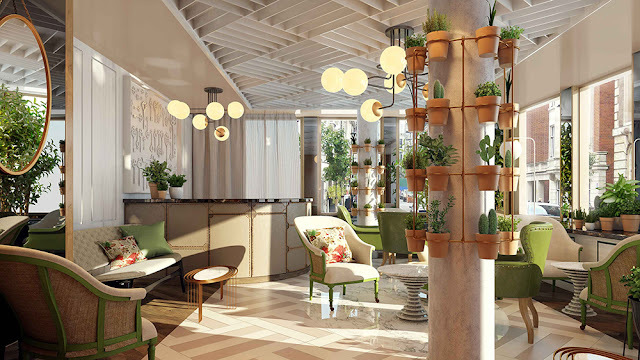 Beyond the many, many dips we’ll be taking (rain or shine) we’re also looking forward to the modern rebirth of several familiar hangouts—Eneko Basque Kitchen & Bar and Indigo among them—and 100 new residential-style guest rooms. Not far from The Ned—which helped evolve the City of London’s reputation from bustling financial hub to leisure playground—is Vintry& Mercer. 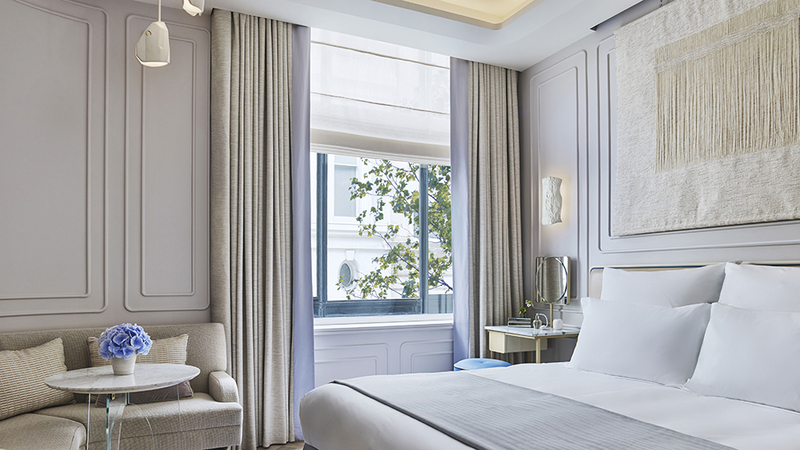 Named for the 14th-century guilds that traded in wine and fabric, the just-opened 92-room hotel features such accents as velvet headboards, vintage navigation maps, and colorful ceramic tiles in the baths. Whether from a private balcony or through floor-to-ceiling windows, suites offer heady skyline views, which can also be savored at Mercer Roof Terrace, apple-pine-lavender gin & rosemary-black olive tonic in hand. Along with Vintry Kitchen’s Asian tapas menu and the speakeasy Do Not Disturb’s array of barrel-aged cocktails, Vintry & Mercer adds another layer to the City’s burgeoning nightlife. Queen Elizabeth Olympic Park in Stratford, which was built for the 2012 Summer Olympics, is home to London Stadium, London Aquatics Centre, and, as of this May, Manhattan Loft Gardens. 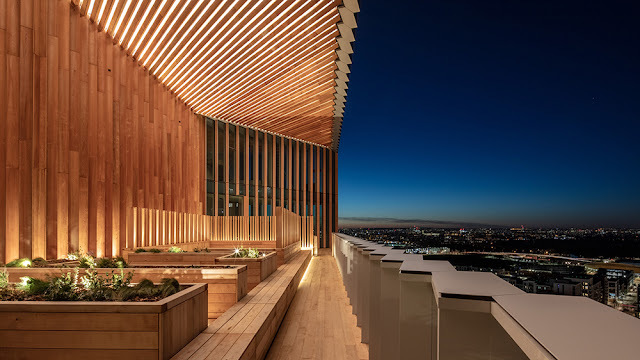 The soaring 42-story mixed-use skyscraper is the brainchild of Harry Handelsman, the visionary behind Chiltern Firehouse, a hotel for in-the-know visitors if there ever was one. Beyond the residences, there is the Stratford, a hotel with 145 light-filled guestrooms and stone-clad baths. 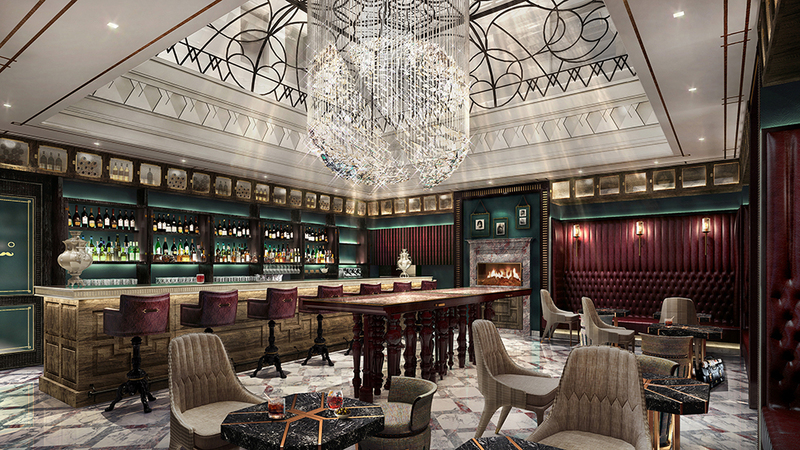 The hotel will be a social-centric one, hosting the likes of yoga classes and spirits tastings. Listen to DJ sessions on the mezzanine or hang out in the communal sky garden. Allegra, with its rooftop-grown produce, provides an intimate alternative to the high-energy brasserie. 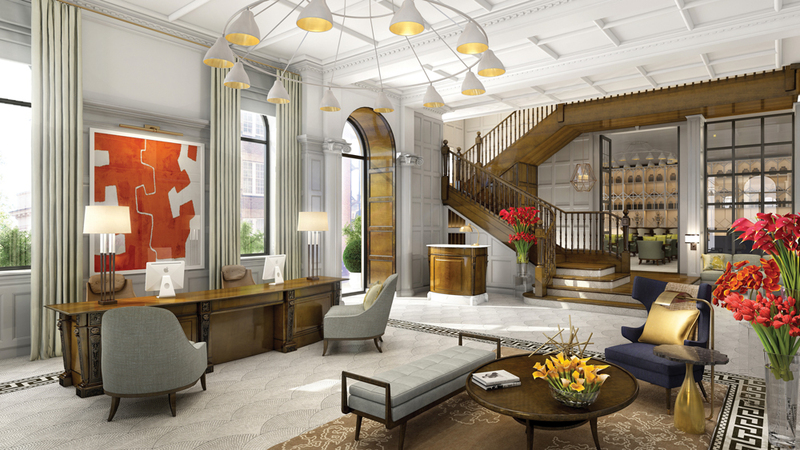 Following a three-year, $48 million reinvention, Chelsea’s Cadogan Hotel will reopen this March under the exclusive Belmond banner. 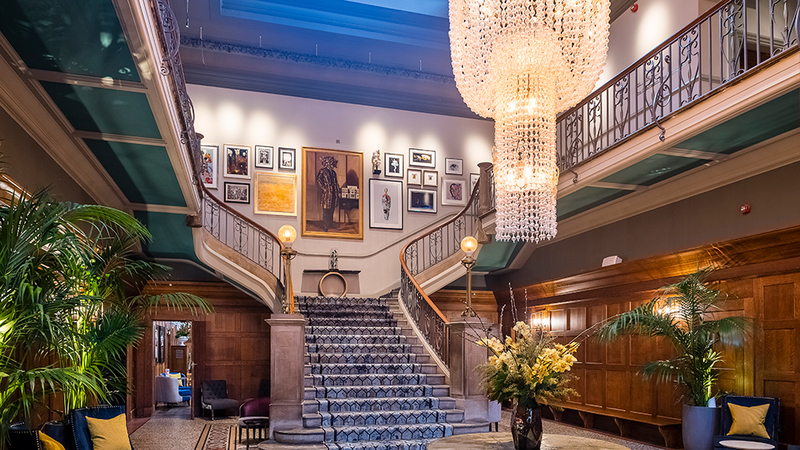 The hotel is a fascinating dose of British history, set within a collection of circa-1887 buildings with original Queen-Anne-Revival style intact. The original floorplan has been shifted to make for just 54 rooms—mostly suites—all of which are heightened with mosaic floors, coral-striped carpets, and gold-leaf wall sconces. The Royal Suite is the one to book, both for its park-view terrace and its history as the former pied-a-terre of author Oscar Wilde. In the public spaces, there’s a bronze library teeming with 600 books—including a fair number of tomes by witty Wilde himself—and a restaurant by Adam Handling of London’s well-received Frog brand. Guests in search of privacy will be happy to use the private entrance—once the way to famed British socialite-actress Lillie Langtry’s home—to bypass the bustling lobby scene and head straight to their hideout. In the shadow of South London’s Tower Bridge, a creative, culturally diverse quarter has sprung up and the Dixon reflects that contemporary spirit. Recently opened in the old Tower Bridge Magistrates Court dating from 1905, the 193-room property celebrates its past with such details as retro “cell keys” woven into metal artwork and prisoner-etched benches from each of the cells strewn throughout public spaces. Sit down to Sardinian dumplings at Provisioners, the all-day dining concept from Clive Watson of Riding House Café fame, then nightcap at Courtroom Bar, tucked underneath what was once the magistrate’s domain. If the Dixon is where criminals once paid for their offenses, the Great Scotland Yard Hotel is the place where they were once hunted down. Constructed in 1910, the regal Edwardian building that once served as London’s Metropolitan Police headquarters—the very place where Jack the Ripper and a bevy of other infamous criminals were pursued—is also becoming a posh place to stay the night. Set to open in late-2019, the 153-room Great Scotland Yard Hotel will thankfully preserve a number of the original building’s beautiful architectural elements, as well as a collection of vintage photographs from its former life. The clubby skylight-crowned bar decked out with a fireplace, centerpiece chandelier, and lots of leather, are sure to make for an atmospheric backdrop for tête-à-têtes. This hotel in London is really luxurious and nice. Big thanks for sharing this with us.